The Department has been consistently exploring the path of technical advancement despite the variations in the software education. The department has achieved best results in Bharathidasan University every year. The classroom pedagogy involves lectures, presentations and student seminars. The students are encouraged to actively participate, and challenge themselves in the learning process. Extensive use of technology is made in the teaching process with a centralized repository of academic resources. 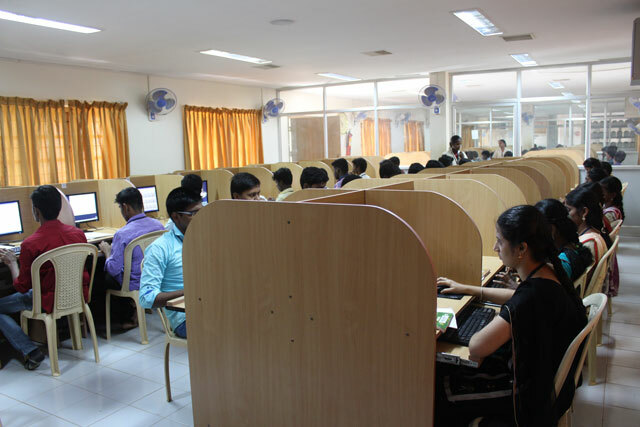 Department of Information Technology has a well equipped air conditioned laboratory with 150 computers with LAN facility. Broadband internet facilities up 2 Mbps internet Leased line facility and updated computer books and journals also equip the students. The Students are given Certification course training for Basic Hardware Course and Certification using which a number of students have obtained certifications. .
¤ Imparting quality education in the domain of information technology and Communication. ¤ To train and develop IT professionals with not only hardware and software skills but also soft skills for professional success. ¤ To create facilities for training in new thrust areas of computing. When you study information technology, you will learn the design, development, installation, and implementation of all types of computer information systems and networks. Completing a degree in Information Technology from ETSU, gives you a sense of personal accomplishment, career satisfaction, and endless possibilities.